Invest in the trusted brand's toys for durability and authenticity. Trusted brand never let down the buyer, always try to retain buyer. The age recommendation helps parents to choose the best toys for their kids, it's like guidance "Right Toy for Right Kid". The recommended age on toys, a toy company decides after massive research so keep follow this for better toy selection for their kids. Always consider informative and educational toys for their kids. The kids maximum learn through the educational toys even kids don't know they are learning, it is good for both kids and parents. The environment-friendly toys are a good choice for everybody. It means reduces the harms caused by artificial material created by chemicals, those affect the human as well as the environment. Sometimes the recommended age by the toy company is not appropriate for your kids, so carefully check the toy is good for your kid or not. The parents very well know about their kid ability and disability. It helps the new buyer make a decision on a particular toy, that toy is good or not for their kid. 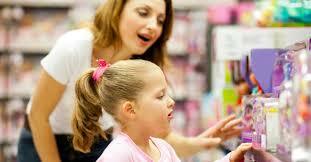 Here the parents express own views on a toy that is own research about the product during the use of the product.